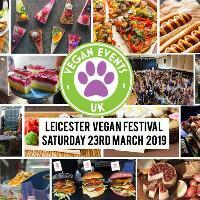 80+ fantastic stalls, world food caterers, exciting cookery demos, inspirational talks, interactive workshops, yoga and children's activities running throughout the day. How liberating to shop freely, with no need to check labels before you buy. To drool over and feast upon sweets, savouries and an array of the most tantalising international cuisine; to expand your culinary skills by watch vegan cooking demonstrations; take a yoga class; buy a new vegan Tee…bamboo cutlery set…cruelty-free make-up or perfume........the list of products is too long to list…and to attend a potentially life-changing inspirational talk.